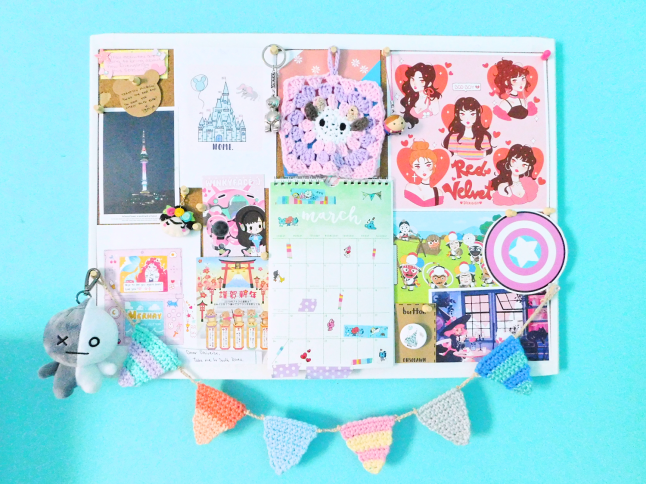 Here is a quick overview of everything on my bulletin board. 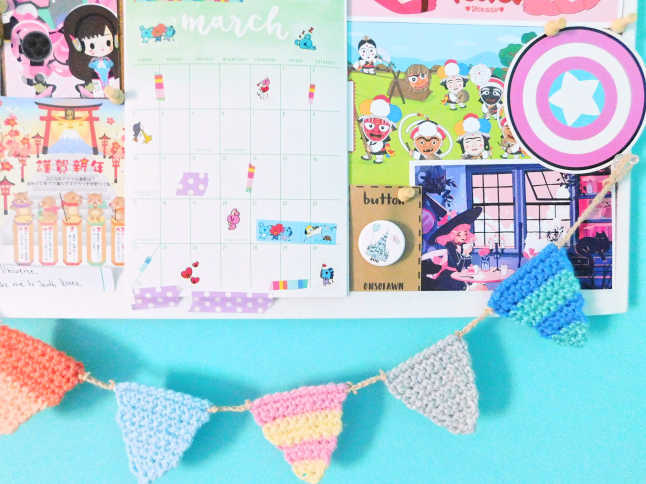 Starting with the right corner, the Red Velvet print is from Vicki Sigh. You will notice that I have a lot of her artwork. She's my favorite illustrator! 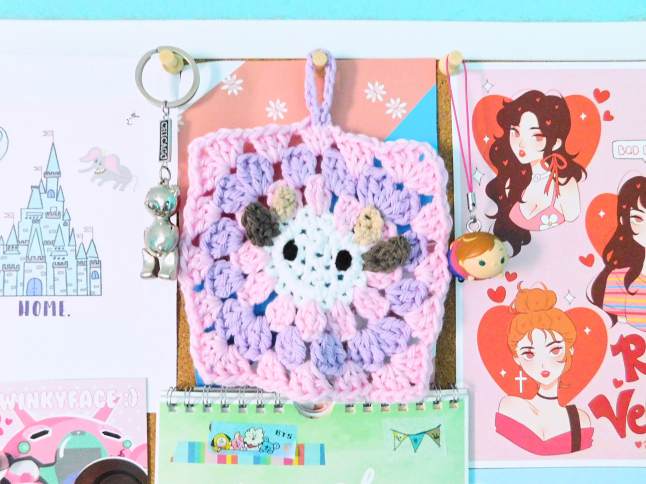 On the top center, I keep my Mooey granny square. When you pledge $10 or more on my Patreon you get this added with your first reward. On the sides, are a Chicago bear keychain and a Frozen Anna charm. On the top left corner, are. 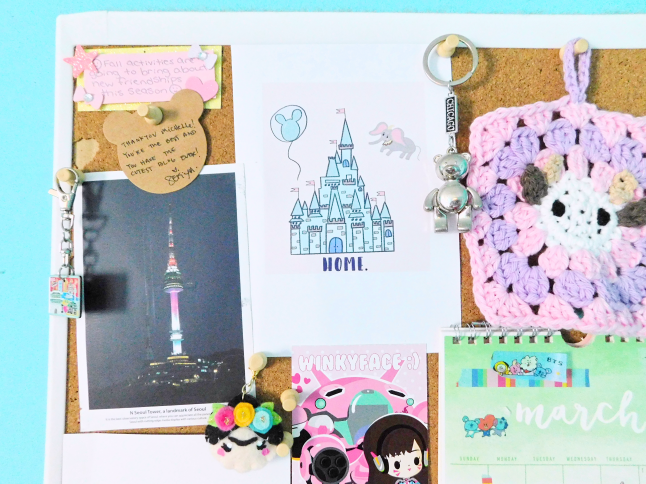 few cute notes, a postcard of the N Sal tower and keychain from Korea that a friend got me, and, an adorable theme park print from OhSoFawn. 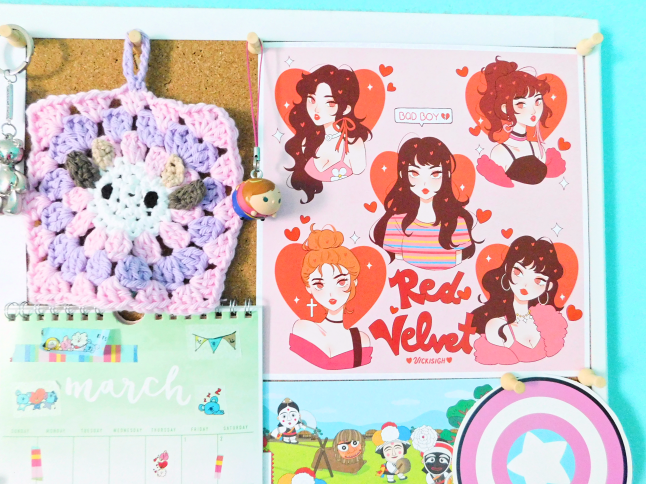 On the lower right corner, a Frida charm from Love Neen, a cute D.VA print from Sharon, another print from Vicki, a postcard from Rainbowholic, and a BT21 Van plush keychain. 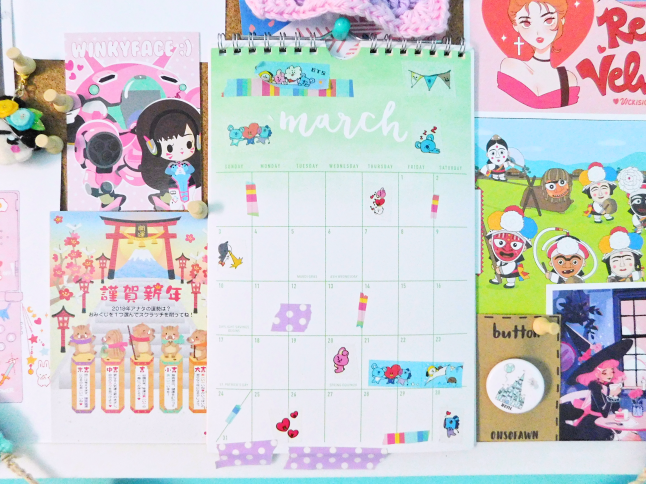 On the lower center is a March calendar that I got from the Target Dollar Spot. 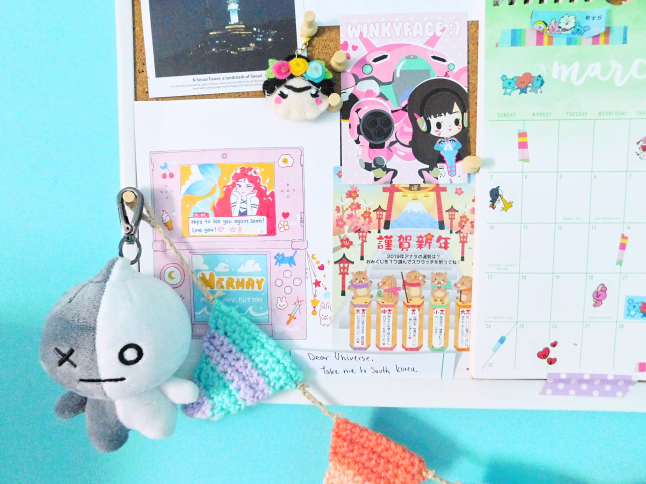 On the lower right corner, I keep another postcard from Korea. 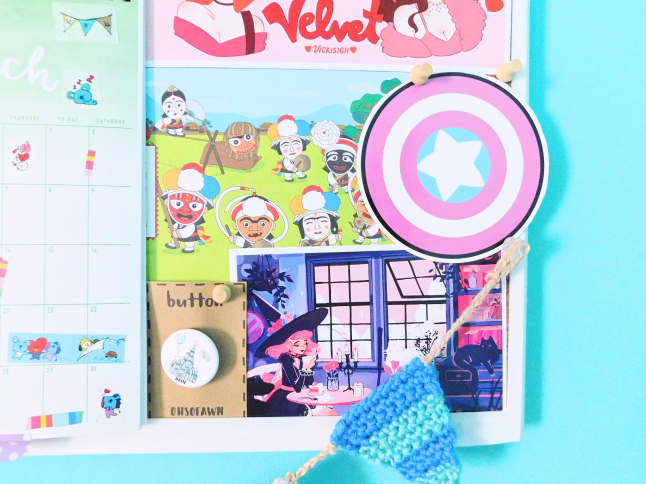 a Captin American shield that I cut-out from this Advent Calendar (he's not my favorite Marvel character but I loved the colors on the shield), a castle pin from OhSoFawn and an exclusive print by Vicki from her Patreon. 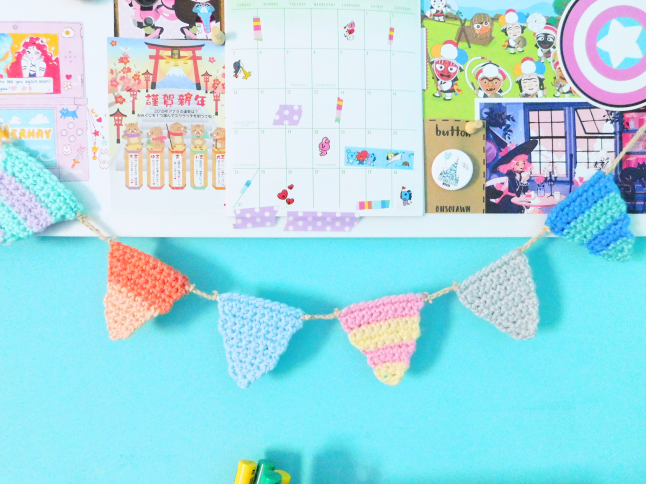 Strung at the bottom of my bulletin board is a striped banner that I crocheted (crochet pattern here). 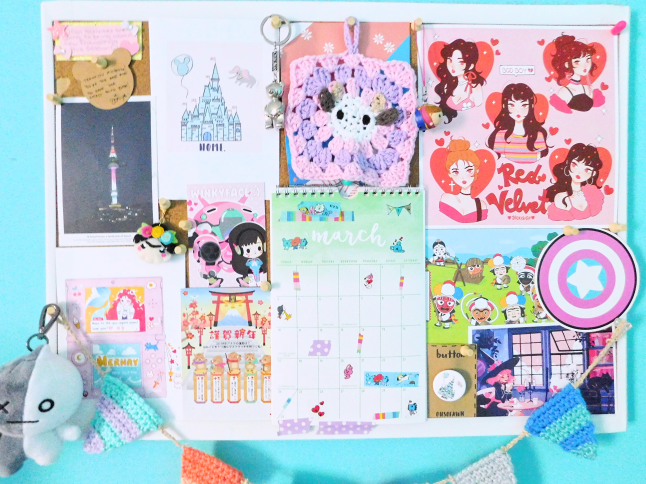 I love how much color colorful and cozy it makes my mood board look!